Established 161 years ago, Richfield was one of the only communities in the Minneapolis area. At that time we were listed as township but as we grew in business and population our title changed as well. In 2019, we know Richfield is listed as a city but we were also once a village. 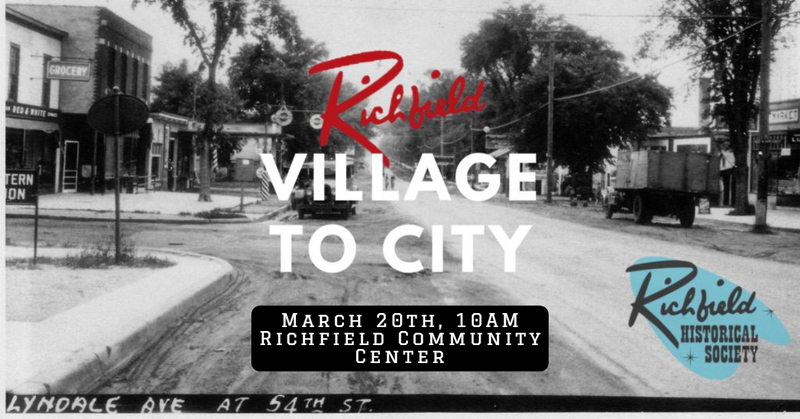 Join our Director, Alyssa Swanson as we venture into Richfield’s past and learn how Richfield transitioned from township-to-village-to-city!